Every day, as more people become entrepreneurs, the number of businesses vying for the attention of your customers grows. 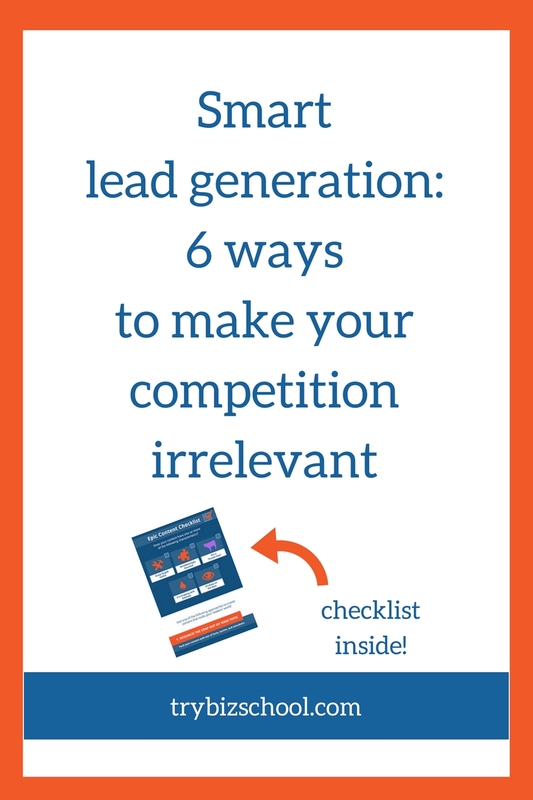 And that can make the critical task of lead generation for your business even more difficult. While it may feel frustrating to have more people clamoring to get a slice of the same pie, it doesn’t have to be that way if you view competition with the right perspective. Here’s a quick story that will help look at things a bit differently. There is room for everyone to get what we want without us having to throw bows at each other or tear each other down. Again, there’s no need to compete or worry about the competition, because I am my own shining star. And it shines bright for the people who are meant to be in my world. With this in mind, my job is to make sure my star shines as bright as possible. And that should be the mentality you take with your business. Your goal is to be so awesome, so irreplaceable, such the difference maker, that your ideal customers, your business’s soul mates flock to you. When you do, you’ll be the one they must work with. No other “competitor” will do. So it shouldn’t matter how many people are in your market, targeting the same customers with similar products and services as you. You don’t have to fight for a small piece of the pie. When your star shines bright, you are the pie that everyone wants. You are the prize. The competition is irrelevant. When you view yourself and competition this way, you can focus your energy on the essential work of making yourself more awesome. As a result, generating leads gets a whole heck of a lot easier. Because your ideal customers will be drawn to you. You don’t get to this place where your ideal customers give you goo-goo eyes and feel like they absolutely must work with you by accident. You have to create the conditions for this to happen. Now the way to go about it is not to walk up to them and say “Hey, I’m better than these other chumps.” No. Do not do this. That’s not what you’re going for. Your goal is to get your customers to believe that you are the one for them, without you necessarily having to say it. All your actions do the talking for you. The way you walk, the way you talk, the way you position yourself. Your body of work, the way you present it, your ideas, your essence, all of that feeds into getting your customers to see that you are the one to help them solve their problem. The core strategy of how you become “the one” for your ideal customers is this: Become the recognized expert. Not a self-proclaimed guru. Be the expert they actually turn to. Their north star. Their shining light that speaks to them and their dreams, desires, fears and frustrations the way no one else does. The one who can help them see and perceive their problem in a new way. Give them the inspiration and the tools needed to transform their situation. Why is this necessary? Because it puts you in a position of authority. You become the one people are tuning into for valuable insights and information, rather than the one trying to fight to get everyone to pay attention to you. There a number of things you can do to establish your expertise in your chosen field. Once you decide what it is you want to be known for, use one or more of the methods below to position yourself as the go-to person for it. One thing to note: all of these options take time. You have to dedicate a significant amount of effort to it to plant the seeds and give them space to grow. When you commit yourself to one of these strategies, you’ll see the time invested is well worth the effort once the results start rolling in. Document your knowledge. It’s a great business development tool because it highlights your expertise on a particular topic. Besides, most people won’t take the time to organize their thoughts and put in the work. So when you’re able to put out your ideas, your philosophy, your worldview into a cohesive document, you will instantly elevate your status. This isn’t just for beginners. People with established brands and wildly successful businesses are starting to write books too. They crave the added prestige and credibility that comes along with getting published, that enables them to take their businesses to a higher level. When a media outlet wants a comment on something, who do they go to? The expert, right? And how do they know someone is an expert? Because they wrote the book. Experts write books. Remember Dorie Clark from the video above? One of the primary ways she exploded her consulting business, was by publishing books. Now she’s in demand and has clients coming to her on her terms. These days it’s easier than ever to get your book published. You can self-publish it, work with a traditional publisher, or even work with smaller indie publishing houses who roll up their sleeves and work with you hands on to get their book done. Heck, there are even services that will help you publish a book without you ever having to write a word! When you are a published author, you make it easier for your ideal customers to choose you. Think about it, when you’re looking to hire someone, would you go with the person who says that they know what they’re talking about? Or the person who has already demonstrated that they do, because they put it all in a handy dandy guide for you? If you want to be recognized as an authority in your field, prove that you are. Publish a book. Another way to be the recognized expert is to get on the stage. It’s amazing what happens when people are on a stage, behind a podium, or have a mic in hand. It’s like they become 10x more interesting, more authoritative, more desirable. That’s why after a presentation, attendees often swarm the speaker at the front or the back of the room. They want to chat more in detail about the information they shared, buy their books (see above point), or just be a fan and snap a photo with them. That’s because in most instances, to be on the stage, particularly the stage of a place your ideal customers trust, means you know what you’re talking about. You’ve earned the right to be there. You put in the work that enables you to command the attention of the people in the room. They are there to listen to you, your ideas, your experiences and learn about how you can help them. These days, there are tons of ways entrepreneurs can get on a platform to share their ideas. Being a keynote speaker of an event would be fantastic. But taking advantage of speaking opportunities doesn’t have to be that high profile. You could speak for free at a conference. There are many events that do a call for speakers where they need people to come and share their expertise with attendees. You could also present at local events such as chamber of conference meetings, or at local chapters of relevant trade associations. Becoming a speaker doesn’t even have to happen live, in person and in the flesh. You can present your ideas on a virtual stage. Last year, I hosted 38 experts in my virtual conference. You can become a guest on an online conference, host a webinar, or even create a YouTube video where you share your expertise with people watching from the comfort of their homes. 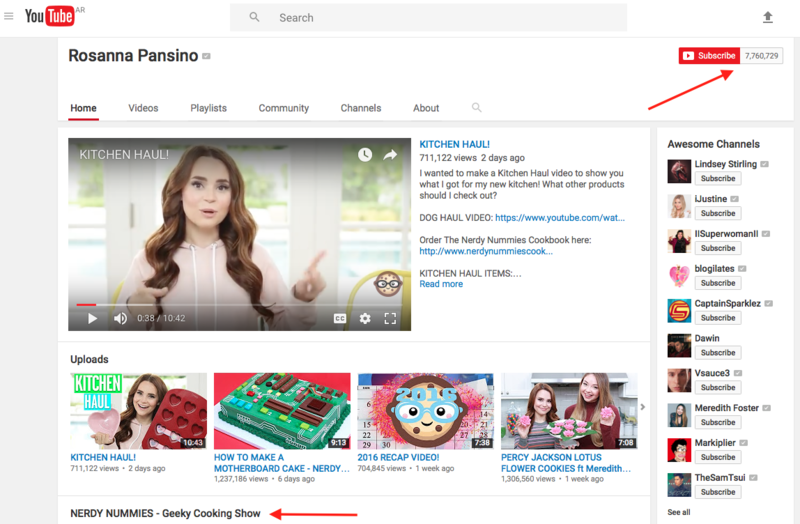 Rosanna Pansino hosts her own YouTube channel, Nerdy Nummies. She’s done so well by making herself a virtual speaker, she was the 5th highest earning YouTuber of 2016, making $6 million. There are opportunities for you to be a “speaker” everywhere, whether you’re an invited guest, or if you make yourself your own headliner. Put yourself on the stage. Another way to become the recognized expert is by knowing all the other experts. That’s a valuable skill all by itself. And it’s not just about knowing people, it’s about knowing the right people and using those valuable relationships you’ve solidified for the greater good: to help other awesome people. Selena Soo is a master connector. 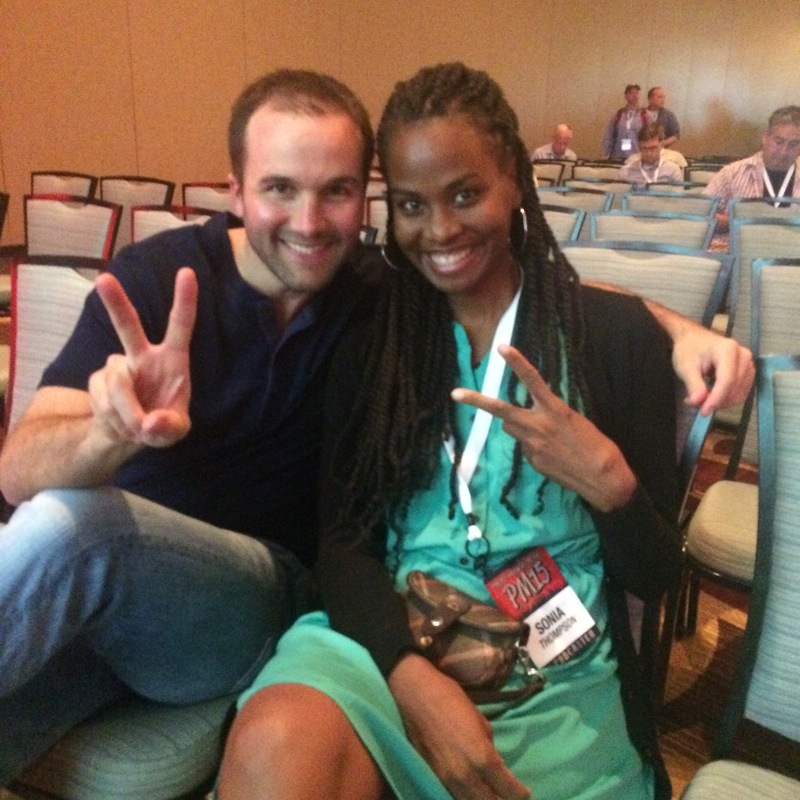 She’s constantly meeting and building relationships with talented and fascinating people. And then she’s putting them in contact with others in her vast network so they can make magic happen together. Selena is the ultimate connector…She will help you make that important connection that will take your business to the next level. It’s a win-win-win for everyone involved. The people you connect get the benefit of a new contact and the opportunities that may come out of that relationship. And you as the connector get the benefit of the goodwill you provide to the other people in your network. As a result, you become an indispensable asset to their circle. People start to refer you to people they know. Over time your reach and influence grow larger. It can help your bottom line tremendously too. This strategy has helped Selena build a million dollar business in just a few short years. The more people you know, the more people you can connect, the more valuable relationships you can build. And that makes you more indispensable to the people in your world. You can start connecting people in your network today. Be on the lookout for things people in your circle need, and then proactively look for ways to help them. Also, regularly expand your network with high-quality people. Here are the types of people you need. And here’s a great way to meet them. This one is similar to writing a book, but it may feel a lot less daunting. Publishing your ideas, whether on a blog, on a podcast, or through videos, is a fantastic way to help others with what you know. Like with a book, you are organizing your thoughts, your experiences, and the knowledge you have and sharing them in a way that is beneficial to other people. But with this method, you do it in bite-sized chunks. The more you publish, the more your body of work grows. The more of an expert you become. My friend Henneke changed careers a few years ago. 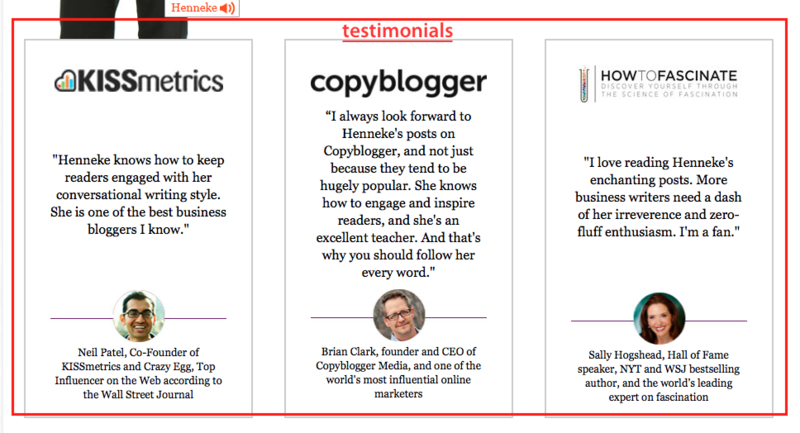 She began publishing what she was learning about copywriting and blogging for business, both on her Enchanting Marketing blog and on other popular websites. 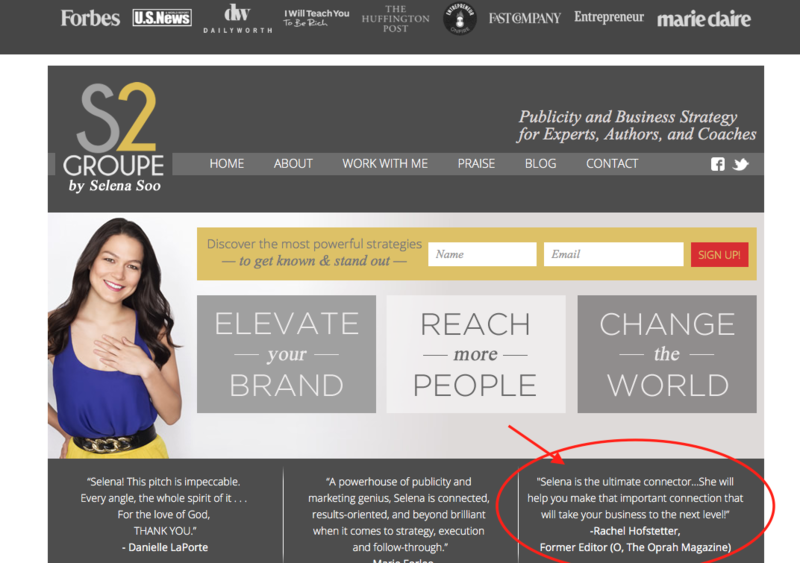 Today, she’s got a thriving business where she teaches entrepreneurs how to write persuasive content. 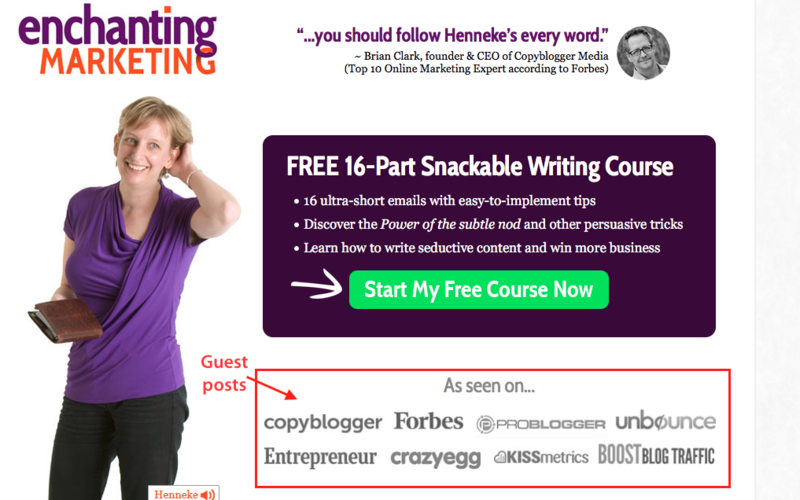 She’s got a very engaged audience, and her copywriting and blogging courses sell out each time she offers them. You could be up and running publishing your first posts on a blog, podcast, or video within a matter of hours. As you publish valuable free content on a consistent basis, people will take notice. Eventually, the people who’ve been devouring, learning, and getting value from your content will know that you are the one they must work with. Another way to establish your expertise is to showcase the expertise of others. Be the talent scout. Be the cultural engineer that always has a pulse on what’s good and what people should know about. That’s what magazines, museums, and talent executives have been doing for years. They bring ideas, products, and people worth knowing to the forefront. This is a valuable service because it makes it so your tribe doesn’t have to sift through the good, the bad, and everything in between to find out what they should be spending their time and energy on. TED is all about showcasing ideas that are worth spreading. So they curate experts and bring them to the stage to share their ideas with the world via short powerful presentations. You can do the same and make a big impact as well. Consider organizing a live panel discussion of talent in your field. 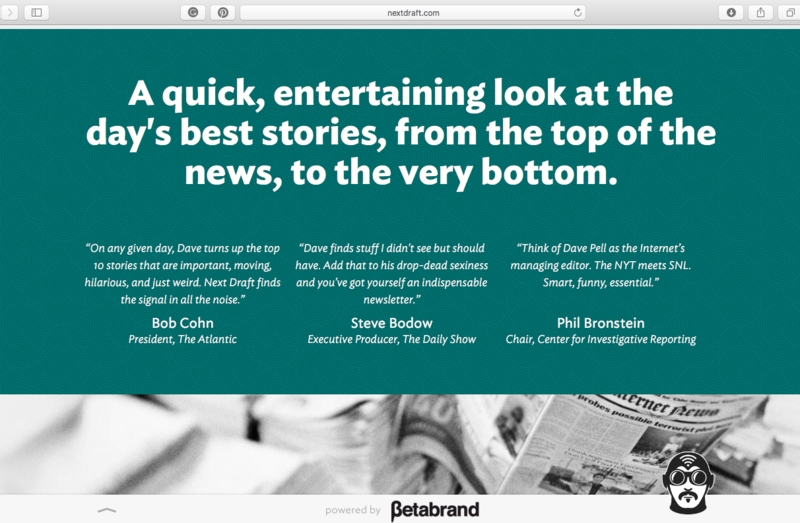 If live events aren’t your thing, you could create a curated newsletter where you highlight different people who are doing wonderful things. Add your unique spin to it to make it something difficult to duplicate. Dave Pell runs the Next Draft curated newsletter. Each day he highlights the day’ most fascinating news, with his own special twist. By taking the spotlight off of yourself and putting it on to other deserving people, you earn goodwill. You’ll also get the attention of the people you feature (and their fans). Not only will your customers appreciate the resources you provide, but you will gain instant credibility for being someone so knowledgeable about things relevant to them. Yesterday I struck gold. Well, at least in my mind. 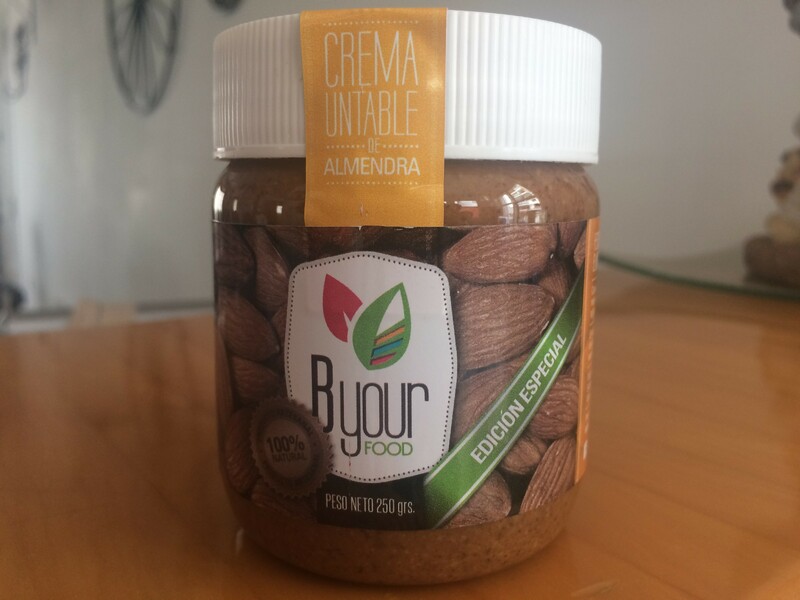 After spending almost a year in Buenos Aires, I finally found my beloved delicacy: almond butter. 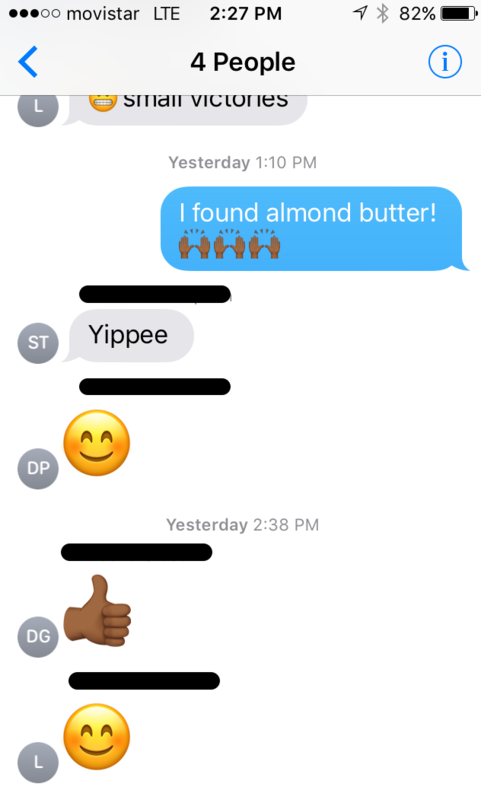 I was so happy, I immediately fired of a text message to my crew back in Florida. 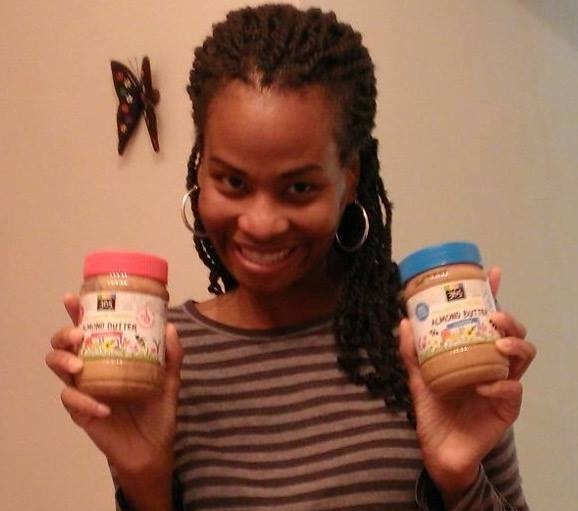 Just in case you haven’t picked up on it, I have a love affair with almond butter. It is my go-to snack and my breakfast of choice on top of juicy organic apple slices. It has gotten me through many a hard time, especially in the last few years since I cut sugar out of my diet by about 95%. I found the good stuff in a dietetica (health food store) near my new apartment. It’s in a tiny little jar, and it’s expensive. But this all natural almond butter is worth every penny. It’s even more valuable to me, because as far as I can tell, this dietetica is the only place I know of in Buenos Aires where I can get it. Trust me, I’ve looked far and wide. For a while, I abandoned my search and accepted that I wouldn’t have this treat when I spend time here. I even resorted to having a friend bring me some from Whole Foods when she came to visit a while back. But this dietetica proved to me they have their pulse on the needs of their people. And they sourced a valuable product that none of the gazillions of other dieteticas in the city provide. As a result, this will forever be my go-to dietetica whenever I am in this beloved city. Without almond butter, none of the others can measure up. You can be the only one to offer a valuable product or service to your customers. One they will eagerly whip out their credit cards to buy. When you are in tune to what your customers need, and you are the only one who can give it to them, it is an absolute no-brainer for them to choose you. It may take a bit of wrangling to make it happen (that’s probably why no one else has done it). But for your customers, it’s totally worth it. And you’ll earn their loyalty as a result. You’ll be their go-to person when they need to solve the specific problem that only your product or service provides. Well done, Sonia. And the checklist is gold. Everyone should download it if they haven’t already. This is outstanding work. Have been reading a lot of your articles and they are handy for a business person. Keep it up Sonia. Many thanks Nic -am glad you enjoyed this one and the other posts as well. This is the best thing you’ve ever written but I say that a lot, don’t I? This spoke to me in so many ways, too many for this comment box.